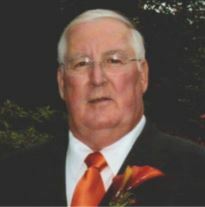 James (Jim) Roger Collins, age 74, of Morganton, passed away February 8, 2019, at his home. Mr. Collins was born December 10, 1944, in Ellijay, GA, to the late Leslie Ulysses Collins and the late Juanita Vivian Guthrie Collins. He was preceded in death by brothers, Eddie and Raymond Collins. Mr. Collins was a former member of the Morganton Masonic Lodge and retired from the US Forest Service as a law enforcement officer. Mr. Collins enjoyed fishing and fly tying in his spare time. Survivors include: wife, Shirley Richards Collins; son, Michael Collins-Smythe; daughter, Kelly Collins Wood; brothers, Carl Collins and Bill Collins; grandchildren, Lily Collins-Smythe, Pearl Collins -Smythe, Ethan Wood, and Evan Wood. Funeral services: Sunday, February 10, 2019, at 3:00 pm at the Henry-Cochran Funeral Home with Rev. Jimmy Ritter officiating. Interment will follow in Concord Cemetery with military honors by the North Georgia Honor Guard. Pallbearers: Kevin Collins, Eric Wood, William Collins, Jeff Collins-Smythe, Weyland Collins, and Reese Panter. The family will receive friends at the Henry-Cochran Funeral Home of Blue Ridge, Saturday, February 9, 2019, 6:00 pm – 9:00 pm.